Tickets are $15 in advance, $20 at the door. Ages 21+. As in most cases in south Louisiana, bands are formed through friendships and pure love for the music they play; this is no different with T'Monde. 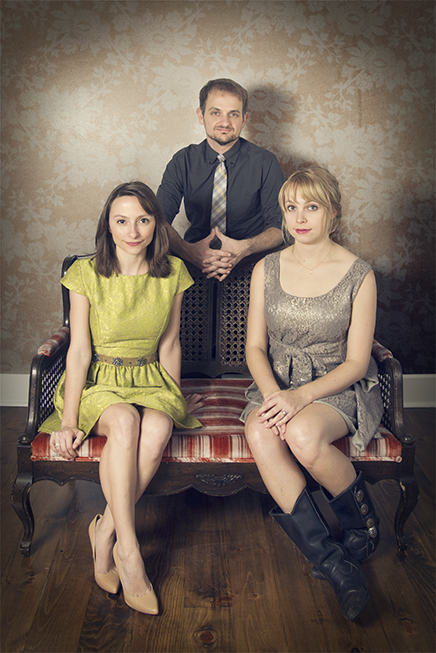 Playing together since 2011, Drew, Megan and Kelli have developed a unique sound that is unmatched in all of Cajun music. Bringing together influences ranging from early Country music to ancient French and Creole ballads to present day Cajun music, T'Monde plays music that is made for the ears as well as the feet. They have shared the stage with some of Louisiana's top bands including the Pine Leaf Boys, Feufollet, and Steve Riley and the Mamou Playboys. Although consisting of only three members, T'Monde brings their own wealth of musical knowledge to make a big sound. With their new album, "Yesterday's Gone", the band showcases their influences and musicianship which makes their sound so special.